Always a surprise on the wet west coast, white covers make us take notice! Two beautiful December snowfalls in the city and mountaintops slowed Christmas shoppers a bit this season, yet in closing, this month has failed to meet the wished-for white promise for all three local ski resorts by the sea. 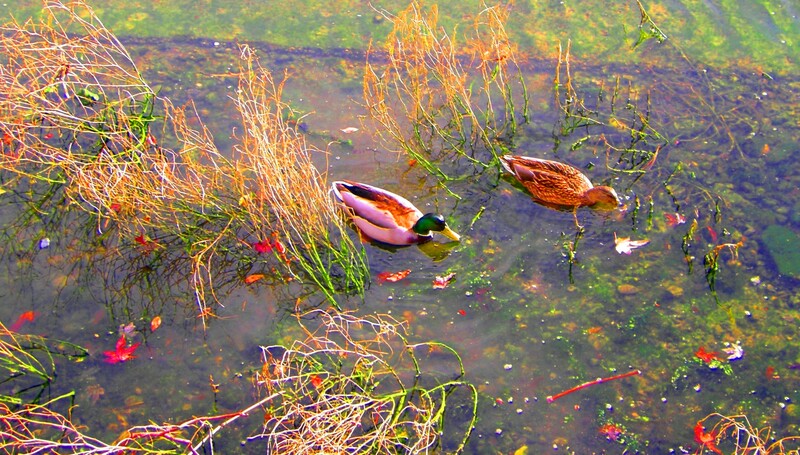 At the seaside, mum and dad mallard cruise for goodies in the shallows, while over in the park you’re invited to check out (un)warmed benches ……decorated for the holiday season. ‘December Gold’ captures a tug returning to False Creek moorage in downtown Vancouver; with a steel sculpture on shore as backdrop, this boat looks to have reindeer antlers on the bridge. 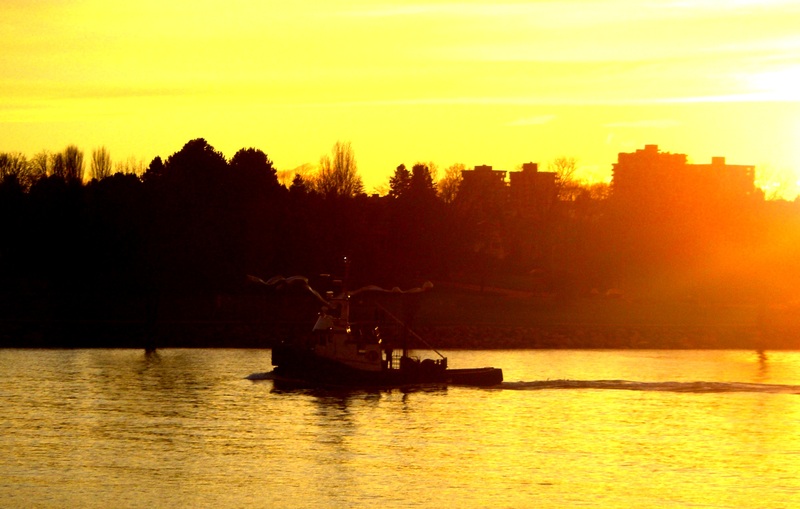 December Gold at sunset – chug of the tug returning to dock in Vancouver. December Gold at sunset – thud and chug – tug returning to dock in Vancouver. 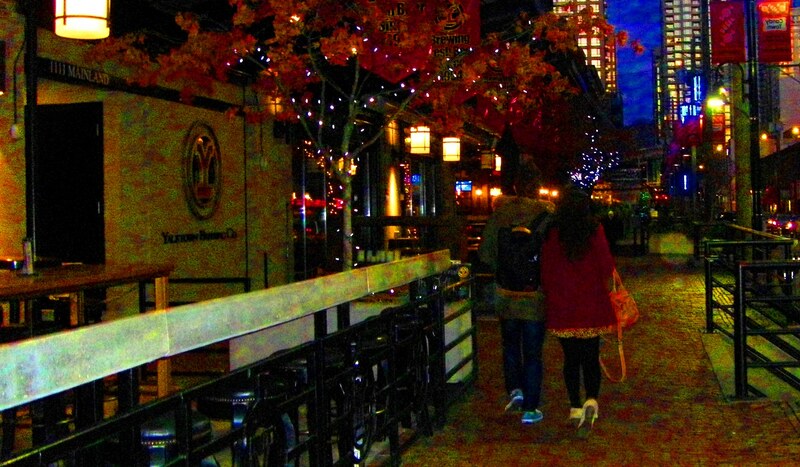 Yaletown Vancouver – Strolling arm-in-arm as they walk down the cobbled walkway. 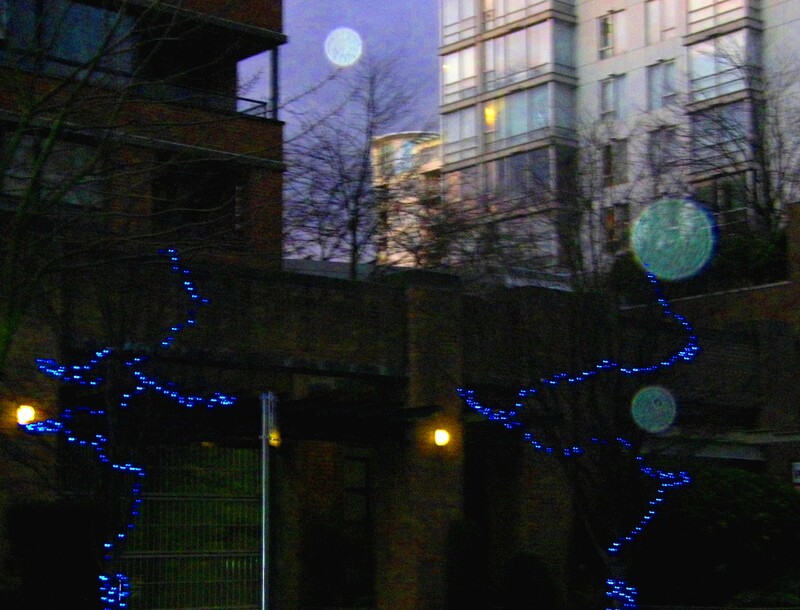 Tags: cobbled walkway, December gold, dock, light reflections, reflection of Yaletwon in December, sea and sky, seaside, tug, vancouver, Yaletwon | Permalink.